I started leading worship in the local church in 2002. At that time, it was a very rare thing to find a church in the movement I grew up in that truly understood worship, much less corporate worship. I also came in on the tale-end of the "worship war" era, which was the transitional period for a lot of churches who were stuck in the 50's and 60's to make a big leap to the 21st century. This was obviously not easy, considering the massive neglecting of current culture. As a young worship leader, I made mistakes. I was insensitive at times, but I don't regret my journey. I've transitioned two churches regarding their worship services. From the beginning, God gave me a very clear vision, and I pursued it. I lacked a lot of wisdom, but I kept focused on the vision, and now I feel like I'm living in that vision, regarding corporate worship. 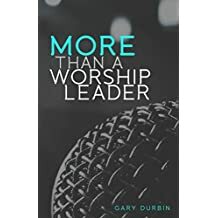 This all led me to write a curriculum that would help my church understand the Biblical concept of corporate worship, which I titled "The Ex-Factor of Corporate Worship". I titled it based on the fact that all the topics started with "ex". I've taught it a few times at my church and it's seemed to help the people catch the vision that God gave me back in 2002. "The Ex-Factor of Corporate Worship"
Romans 1:18-25 tells us that we all have choice to worship God and that we have no excuse not to worship God. Verse 25 says, "They exchanged the truth about God for a lie, and worshiped and served created things rather than the Creator—who is forever praised. Amen." The question isn't whether or not we worship, but whom or what we worship. Before we can worship God corporately, we need to examine our hearts and motives (I Corinthians 11:28). Worship is not music. Worship is life. II Corinthians 5:15 says, "And he died for all, that those who live should no longer live for themselves but for him who died for them and was raised again." Corporate worship will only mean something if we exhibit the songs that we sing. Rick Warren says, "Passive worship is an oxymoron." Most churches depend on a very small percentage of the people to be the church, participate and serve. If you're not involved and participating, you're just existing in the church. This happens when people view the church as a business. When this happens, they become customers and if they're not happy, they'll take their business elsewhere. Just existing in a church keeps us disconnected from the heart and vision of the church. This is no good. We need to live out Hebrews 4:16 and "Let us then approach God’s throne of grace with confidence, so that we may receive mercy and find grace to help us in our time of need." My pastor's wife said something that has stuck with me for a long time. She said that people either come expecting or inspecting. An inspector's job is to find faults. Needless to say, we have plenty of critics. We need people that are coming in expecting great things from a great God in corporate worship. We can great expectations with the God of Psalm 45:1 - "My heart is stirred by a noble theme as I recite my verses for the king..."
Pride is a killer. Praise of God will always bring humility, praise of self will always bring pride. Jesus said that if we want to follow Him, we must deny ourselves. John the Baptist said that Jesus must increase and we must decrease. Darlene Zchech says, "Learn how to seek God's face without saving yours." Execution of self will allow us to praise God and seek Him FIRST. When we see God, everything changes. Moses had to cover his glowing face in Exodus 34 after seeing God. When we expose our eyes to God's glory our only response will be worship. Paul instructs us to be unveiled worshipers in I Corinthians 3, so we can reflect the bright glory of God. Corporate worship is an experience. Once you experience the presence of God, you understand it. People who don't understand corporate worship have never truly experienced it. To exude means to ooze out. Jesus says in Matthew 12:34, "...the mouth speaks what the heart is full of." Worship is an overflow of the heart. Corporate worship should be a moment where God's people come to ooze out and exude the praise that is simply overflowing from their hearts together. Expression in corporate worship has a power that is unexplainable. It evokes freedom in the congregation that nothing else can. When you express yourself physically in worship, you are boldly proclaiming your worship to God. Everyone has something that gets them going to the point of expression. Why can't that something be God. Psalm 47: 1 says " Clap your hands, all you nations; shout to God with cries of joy." God is a jealous God (Joshua 24:14-22). God doesn't need our worship, He wants it. Idolatry is the sole reason for God's wrath. He wants our worship to himself. Corporate Worship is the only experience where you can be in a room of full of people and still feel like you are alone…alone with your God. As a church, we want people to come in experiencing & exalting God together in corporate worship and leave thinking about how great God is and exalting Him alone. It should NEVER be about how great we are as church leaders…that’s called pride. Shame on us, as church leaders or attenders, when we use a church service as an ego booster. Psalm 21:13 says, "Be exalted in your strength, LORD; we will sing and praise your might." Psalm 96:2 says “Sing to the Lord, praise His name; proclaim His salvation day after day” Just by simply being a “worshiper” in a corporate worship service makes you a part of the mission. Corporate worship can be a tool to expand the Kingdom of God. If you'd like the whole curriculum, leave a comment with your email. Also chime in if you have any input on any of this. Yeah. Thanks for sharing it!